Here you will find step by step instructions for setup and use of the Array Lock and Array App. Find answers to frequently asked questions (FAQ's) here. Check here for security certifications and specifications of the Array By Hampton Smart Deadbolt. Find where to purchase and update your Array Smart Deadbolt here! We understand how important your Array Smart Deadbolt is! Here you will find the answers to your general questions.  Check here for information on the Array and Alexa relationship.